STK Electronics began manufacturing film capacitors in Cazenovia, NY in 1975. Our first product offering was a range of close tolerance capacitors featuring film-foil polypropylene, a dielectric best suited for these applications. Over the years, we have continually developed and designed many additional products, providing the extensive choice of capacitors featured today. 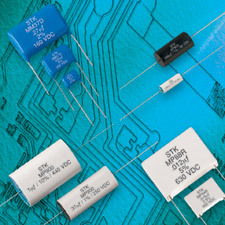 All STK Electronics capacitors are RoHS compliant. Our commitment to quality assures that all products are defect-free and manufactured to customers’ requirements. Every capacitor is tested and approved before we ship. Quality is designed in and built in, ensuring a very low warranty return rate.